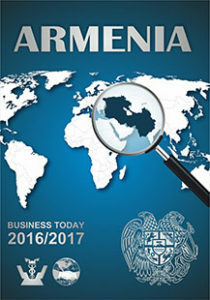 «Evencenter» and Chamber of Commerce and Industry of Republic of Armenia present you catalogue «Armenia Business Today» which is published in January every year. 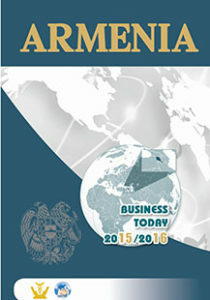 «Armenia Business Today» is a catalogue of the largest advanced companies operating in the Armenian market. Directory is published with 2000 copies and there are 5000 CD versions of the catalogue. 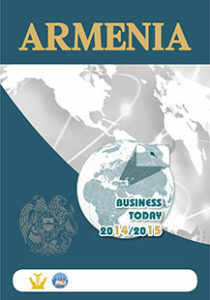 «Armenia Business Today» is extended in all Chambers of Commerce and Industry of the Countries of Members of the Eurasian Economic Union, embassies and consulates of foreign states in Armenia, embassies and consulates of Armenia abroad, the ministries, the international organizations, the unions and associations, among participants of business of missions, and the electronic version is presented on the websites of Chamber of Commerce and Industry of RA and «Evencenter». Our goal is not only to specify general and contact information but also to provide the exact information about the companies in a convenient and modern way, including the detailed description of area to each organization. stimulation of increasing the activity of regular customers and contribution to attract new partners. 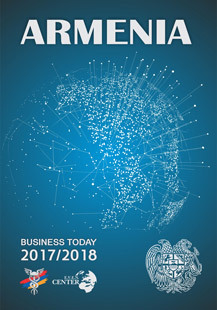 The catalog is completely printed in Russian and English languages, in a full-color format and includes the following information: the name of the companies, logos/trademarks, details and also commercial offers or information about the companies in a free style.